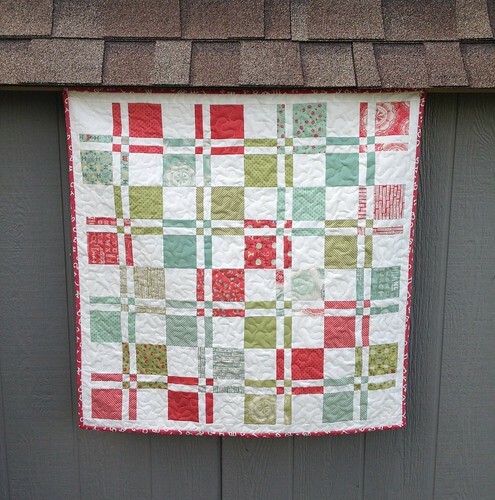 The fabric I used for the quilt top is from a Moda Odds & Ends charm pack mixed with some white on white fabric that I've had in my stash for years. Tic-Tac-Tummy-Toes is made using a block called disappearing four patch. Some of you had requested a tutorial, so I have posted one that you can find here! 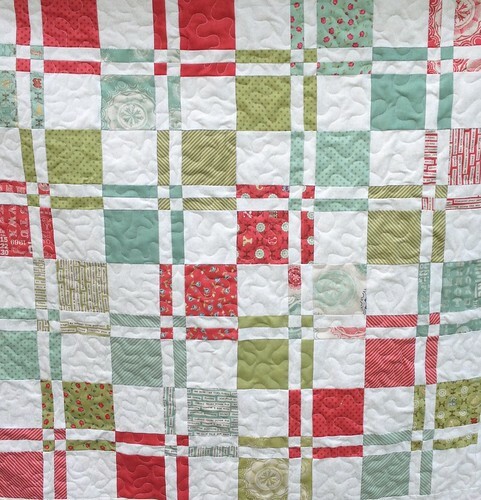 I quilted it using a large meandering pattern. 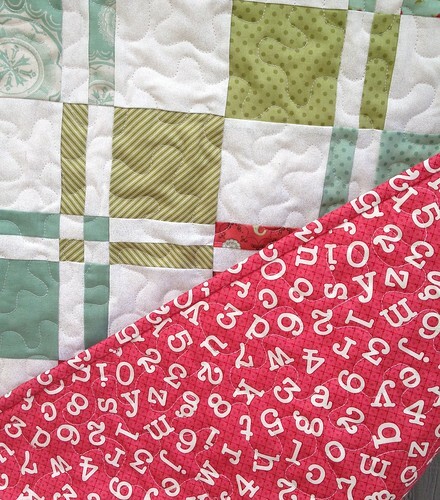 I love this on baby quilts because it washes up so soft and snuggly. 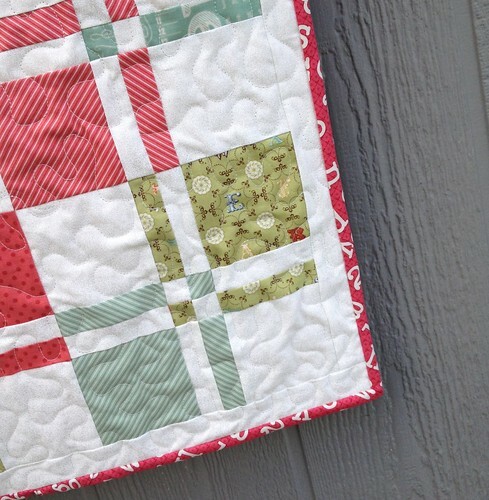 The backing fabric is from a line called Homeschool by Windham Fabrics. I think it blends perfectly with the pinks in the Odds & Ends line! So, now I have 2 of the 6 baby quilts done. I hope to have number 3 done next week.